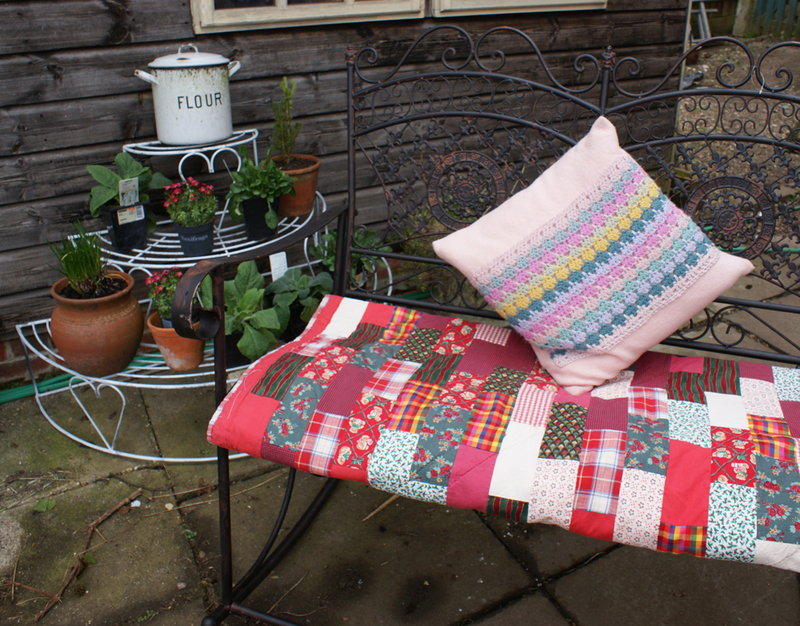 Apart from plants, the two things I love most in the garden are places to sit and pretty seats to sit on! 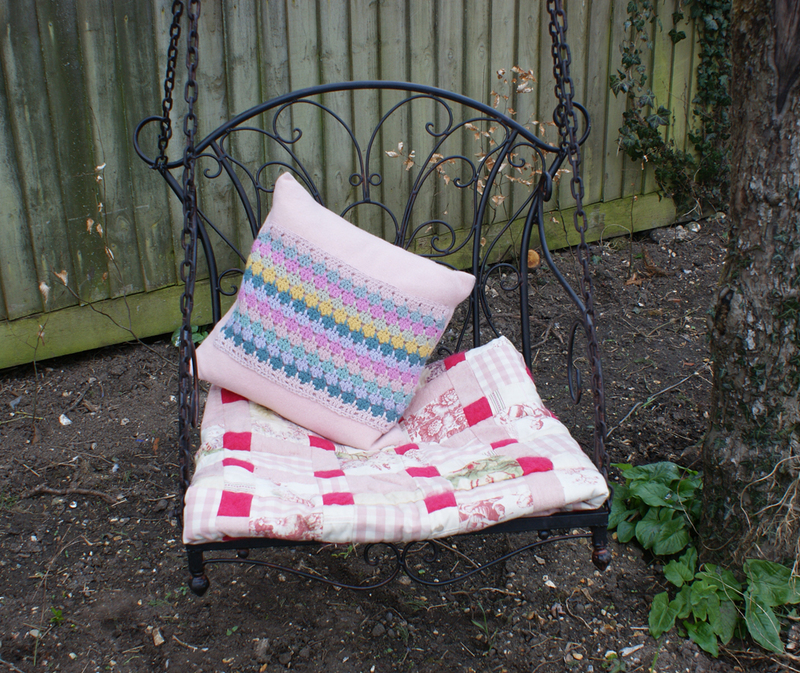 This week – just last Monday – I treated myself to a new rocking seat together with a swing seat which hangs from one of the apple trees. I love these seats – I bought them from this ebay shop. I wondered how long they’d take to be delivered all the way from Germany, but they arrived within 3 days of purchase and I thought that was seriously speedy! They went together very easily with just 6 bolts (spanner supplied) on the rocking bench and 4 bolts and a couple of shackles for the chains on the hanging seat. 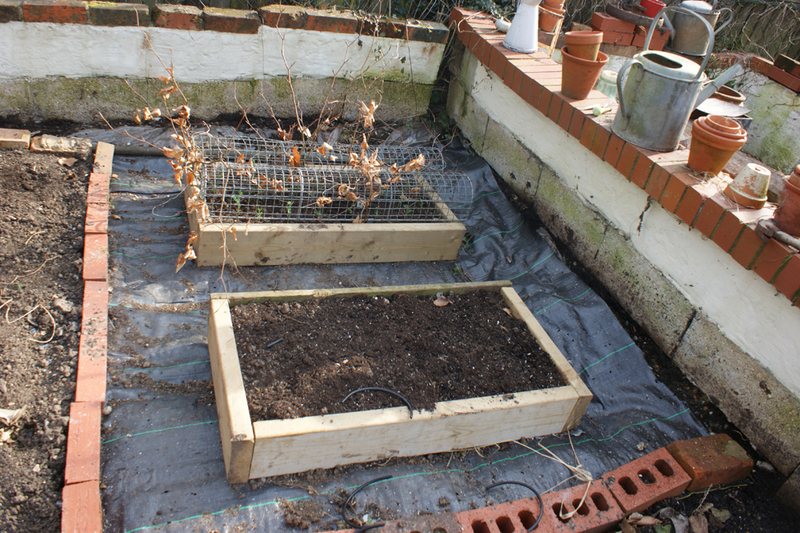 I can’t wait for the apple blossom to appear – and the grass to grow! 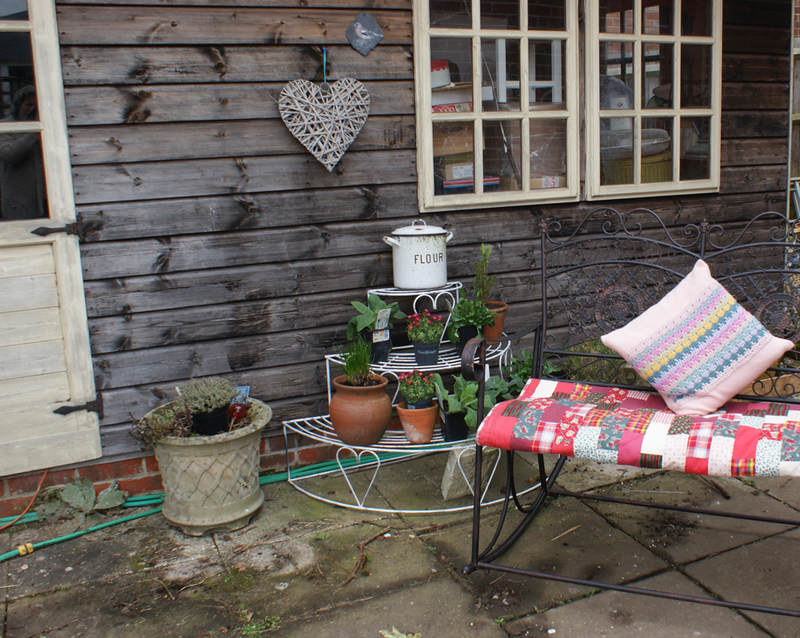 The sheds have been cleared of hoarded rubbish, thanks to sterling work on by my boys J1 & J2 and the little summerhouse that overlooks Flora’s pond is now a comfy place to hide away with couple of pretty chairs and a coffee table – the perfect place for a quiet cuppa. 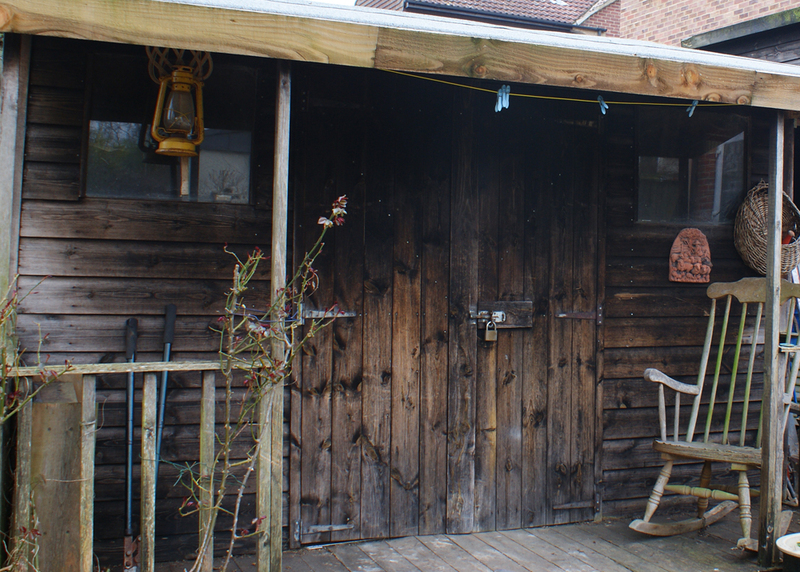 I’ve rediscovered the verandahs on the little summerhouse and the garden workshop too – even more places to sit! 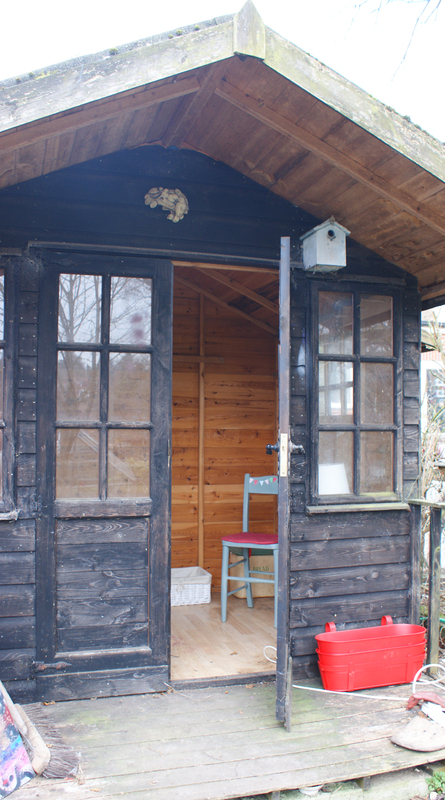 I think a lick of paint is called for in the little summerhouse – nothing too fancy, but some white wooden walls would brighten it up no end. 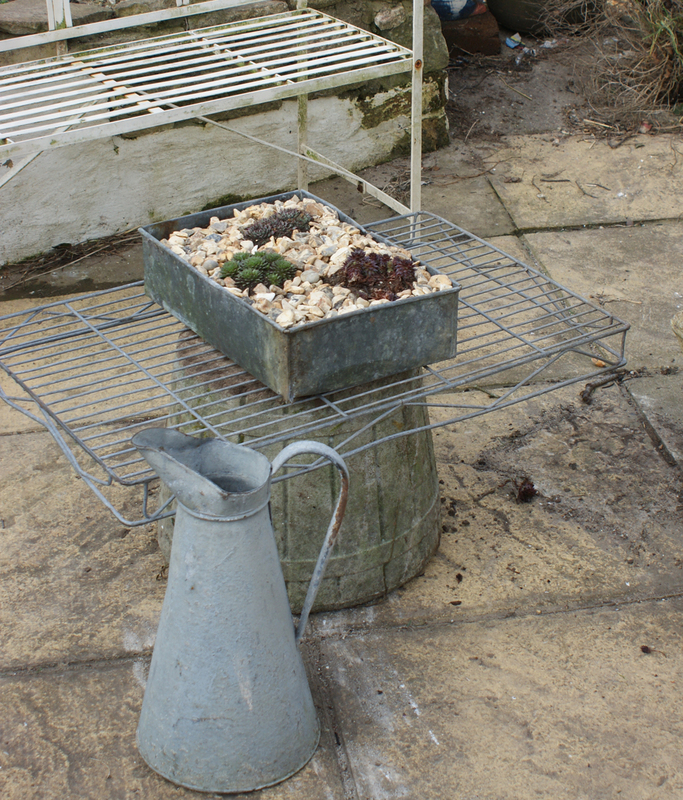 The greenhouse is taking shape and I can’t seem to go out without being accosted by little plants that need to come home with me! 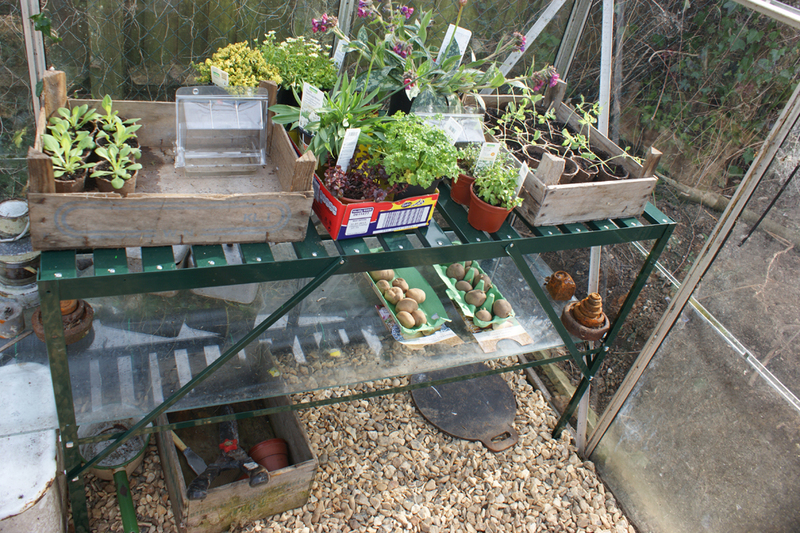 greenhouse staging – potatoes starting to sprout! 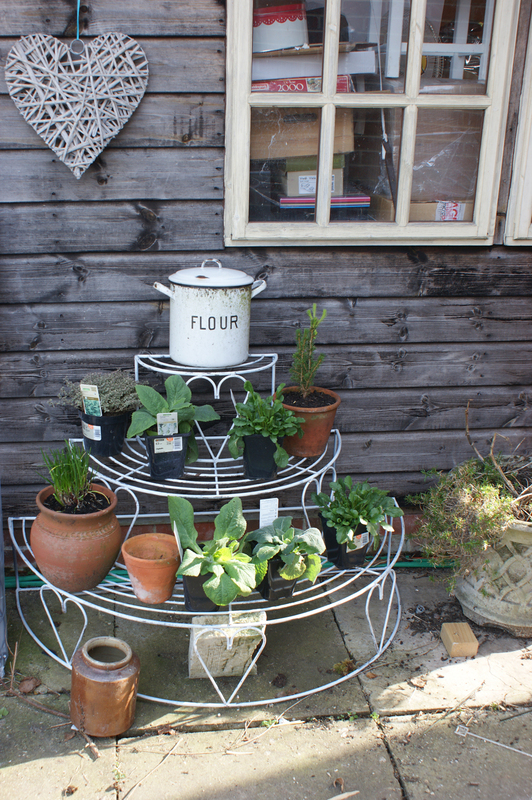 Are you making plans for your garden this summer? 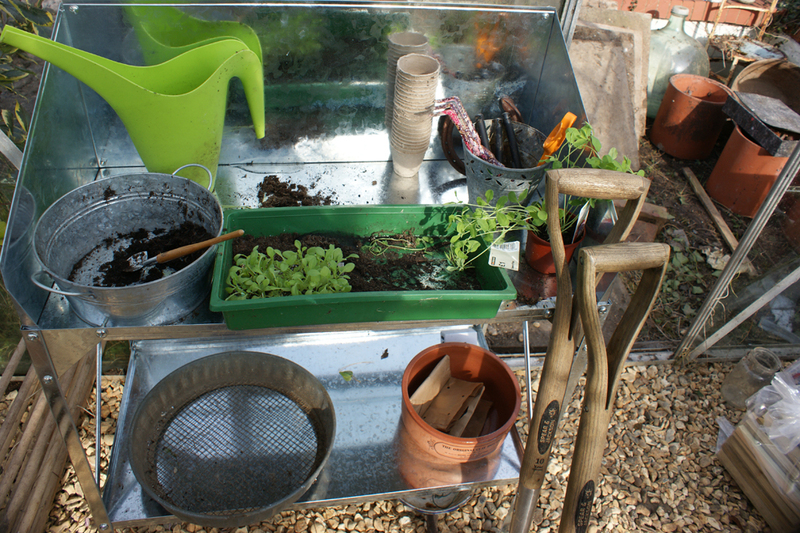 Let me know if you have any secret tips on what to grow – I’m thinking cosmos, night-scented stock, cornflowers – I could go on!!!!! OMG!!! I love your yard! What a beautiful retreat when it starts to fill out! I would spend all day everyday there if I could!!! I just can’t get enough of the garden atm. There’s lots to do but there’s loads of progress too. Such fun! I do like the tree seat, what a fabulous idea! 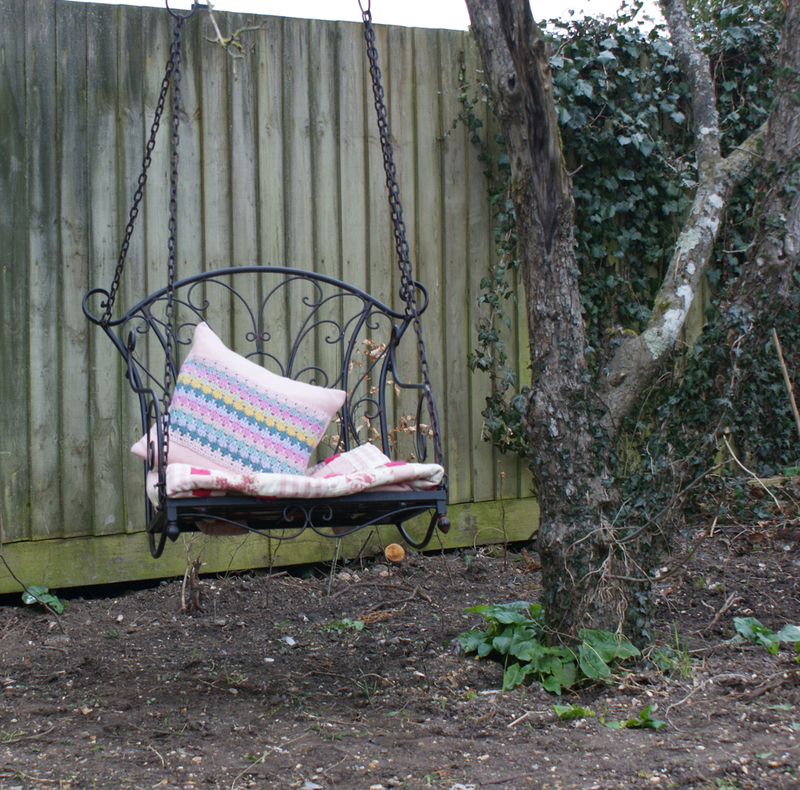 such a beautiful swing…I wish I had one….and your cosy shed is adorable….roll on the spring I cannt wait for the sun to arrive…. Oh, I so envy that you are able to putter around in your yard! Our snow is almost all gone (except the huge piles in parking lots and such) but we’ve gone back down into the mid to low 40’s for a high. Keep showing us your progress! I’m very much enjoying living vicariously! You are currently reading Rocking seats and verandahs … at Adaliza.